Last week, there were quite a few updates. Instagram has a new face and LIKEtoKNOW.it (@liketoknow.it) updated their app. Unfortunately, with some of the updates, some of you didn’t get the email that provides links to where to buy my outfits. So sorry about that!! I decided to round them up here! This outfit above was one of my #tbt when we were in Santorini. The Asos maxi skirt goes in and out of stock, but they have similar floral ones here, here, and here. 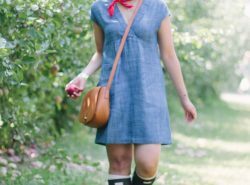 Also wearing J.Crew Factory top, Nordstrom Floppy Hat (under $16), and Madewell sunnies (no longer available) – but they have this and this. 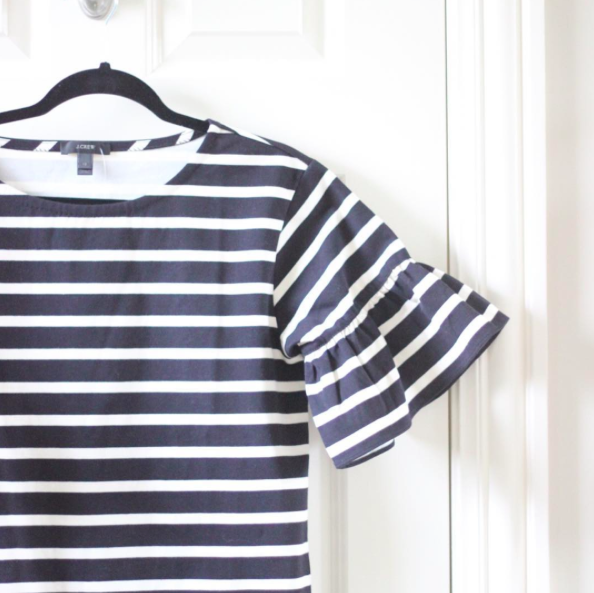 J.Crew ruffled bell-sleeve – can’t wait to wear it! 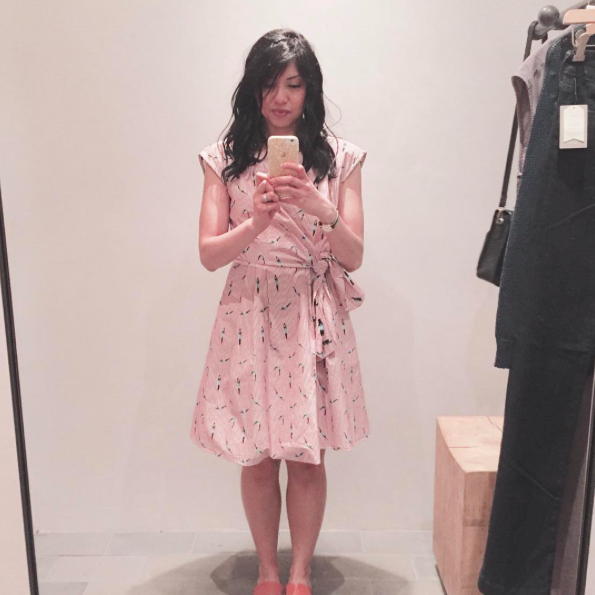 Anthropologie Bathing Beauty Dress and it is currently now sale! 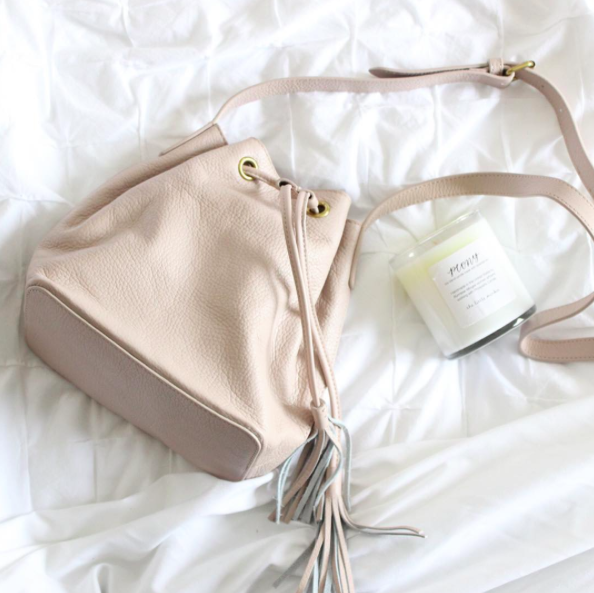 J.Crew Bucket Bag and it is under $60 and The Little Market Peony candle. This was the post mostly everyone didn’t get it! Sorry about that! Asos crop top, Le Specs sunglasses, and Anthropologie palazzo pants – this is old so I have other options here, here, and here. And wearing these sandals. 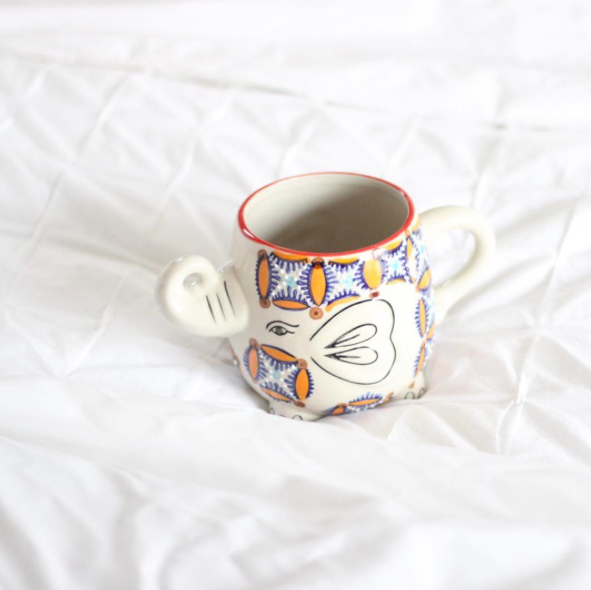 This mug supports wildlife elephants! There’s more options at the Animal Rescue site! 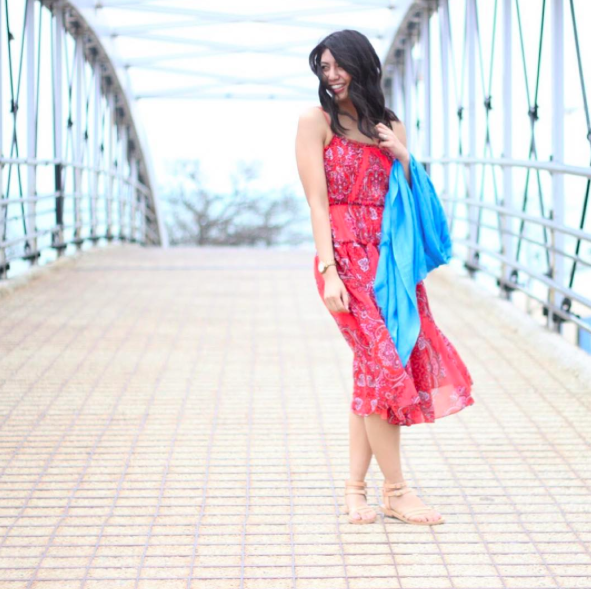 This Banana Republic Paisley Strappy Midi Dress is on sale plus get 40% off with code BRTAKE40. 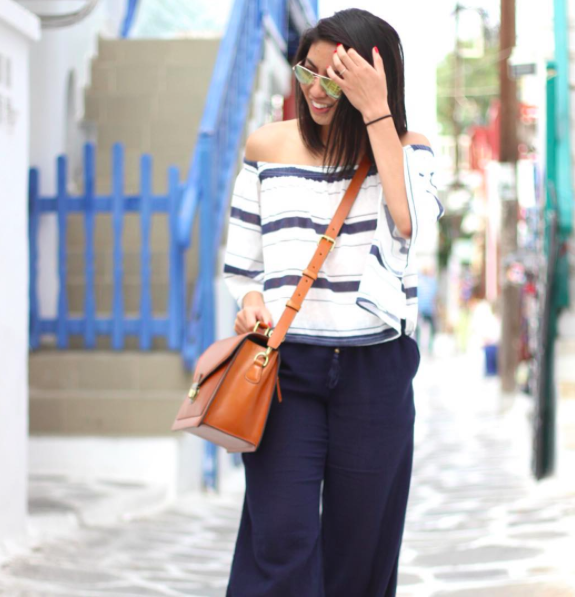 Almost everything I’m wearing is no longer available (there were from Mykonos) but I found similar ones: Ray Bans Aviators, striped off shoulder top (love this one too), J.Crew Beach pants, Jo Totes camera bag. Great round-up, and yes all of these updates were insane! 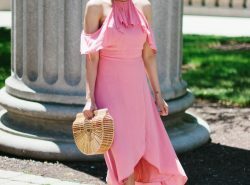 Love the idea to post these images here so your readers get a chance to actually get your looks! You look stunning in all of these pics! Heart you! Thank you Vanessa! The updates were driving me crazy haha!! Great post!! Love that Jcrew Ruffled Bell Top!! All of the outfits are gorgeous! I love those palazzo pants the best!! Such a fun roundup! 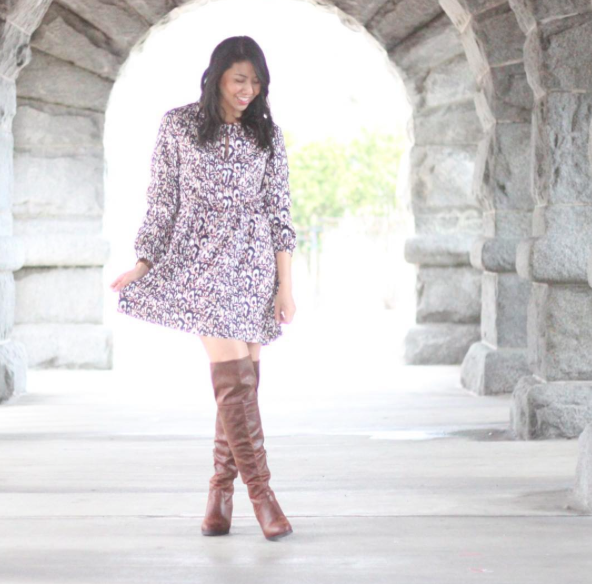 You have some great prints for spring and summer in here. Love this insta roundup dear. Lovely photos of you. All of the updates have been driving me nuts lately! At first, I didn't realize everyone was having the same types of bugs. I think they're fixed now, but the last few days, I've wanted to throw my phone at the wall! Right?! Ugh technology! Thanks Jackie! What great outfits! They're all fantastic! I especially love the off the shoulders white shirt and the very last dress!!! Beautiful! Great instagram feed! you really got cute style! All of your outfits are so cute! 🙂 Hope you are having a great weekend! I love the new face of instagram and the new segment of liketoknow it is amazing, atleast we can get to easily shop your glamorous clothes! I like the new interface too. The glitches were just frustrating. Love his round up Rach and I can't wait to see how you style that striped top! awesome pictures!! also love those printed floral pants! Thank you Carolina! They're one of my favorite pants! What a great round-up! 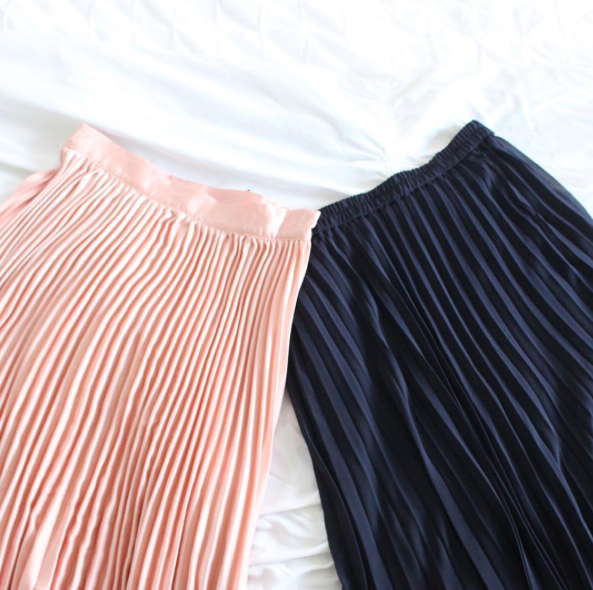 Those palazzo pants look amazing on you and you know I'm a sucker for pleated skirts! Have a great week ahead! I like so much !! !